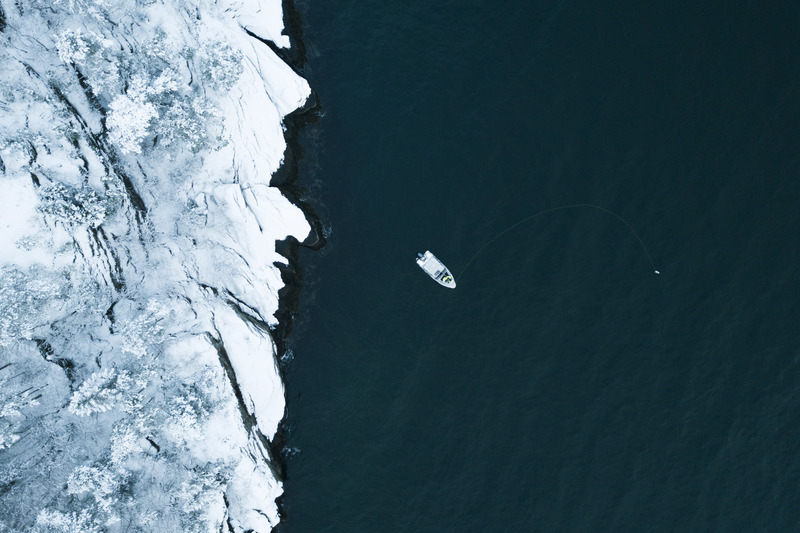 We love a great adventure and good sea story, and would love to contribute with content to your story! 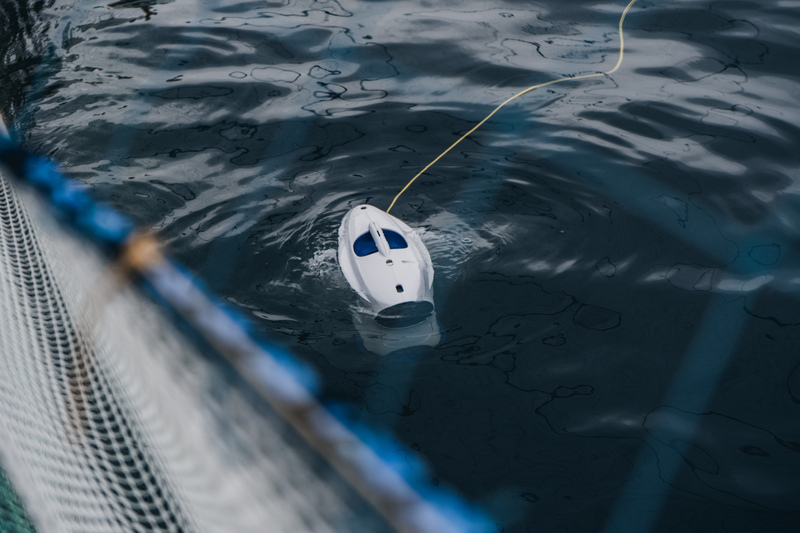 On this page you can find press coverage, press releases and different media assets you can use in your story. 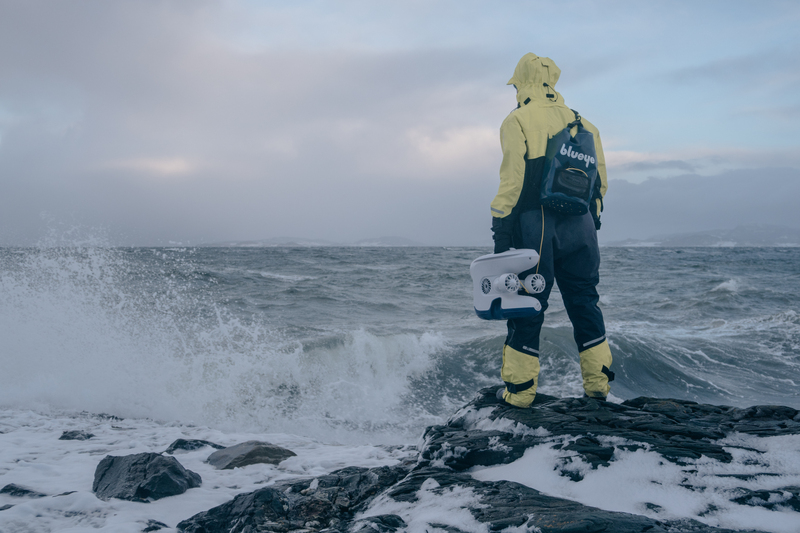 Please don't hesitate to get in touch if you have any questions. 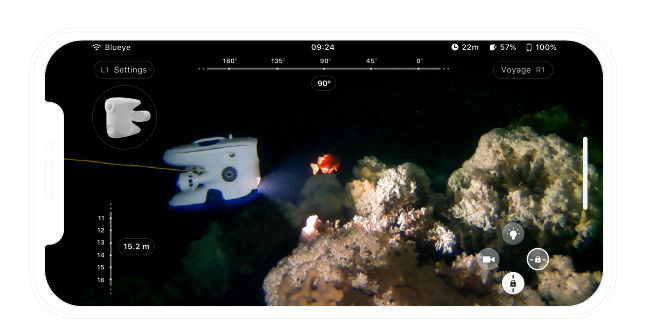 Smart phone connected to VR googles to give a fully immersive experience. 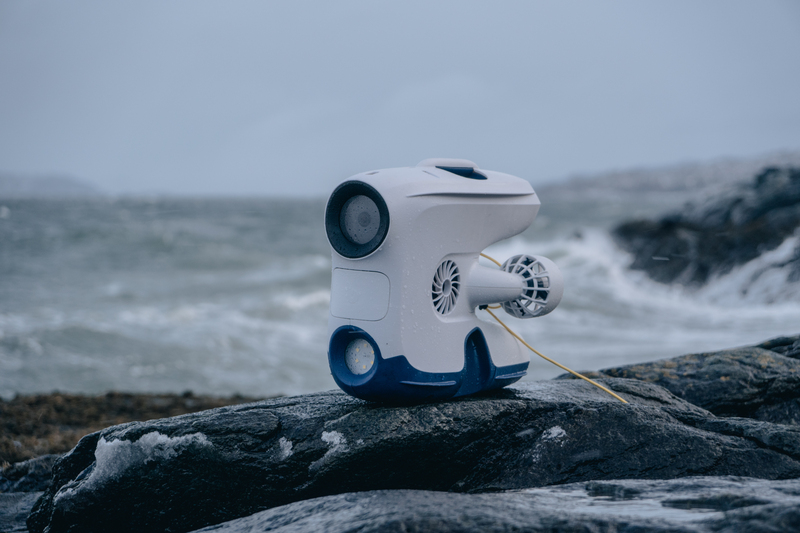 The Blueye Pioneer with an action camera mounted on top. 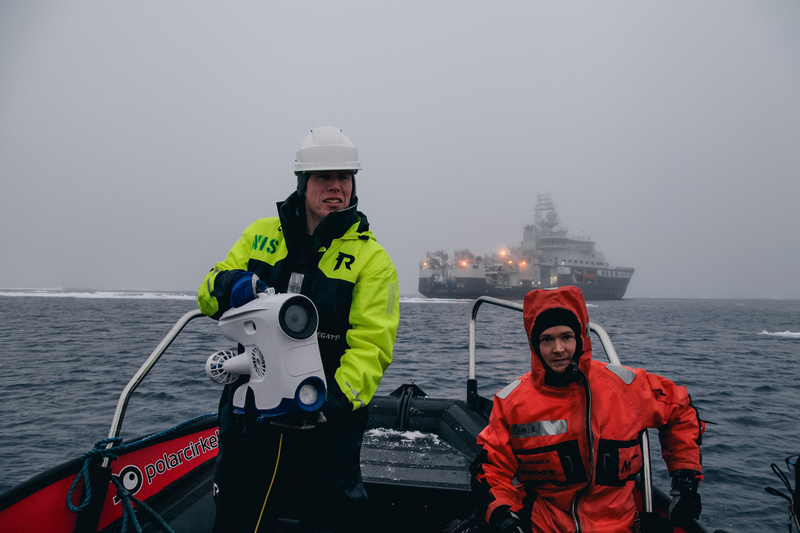 Photo taken by Martin Ludvigsen (NTNU) in the Arctic. 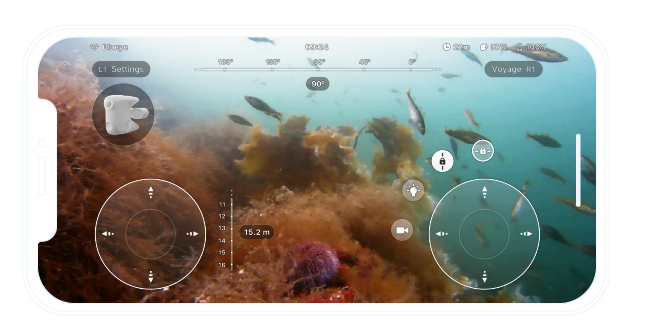 The Blueye App responds to the way you choose to dive, whether that is with a controller or by touch. 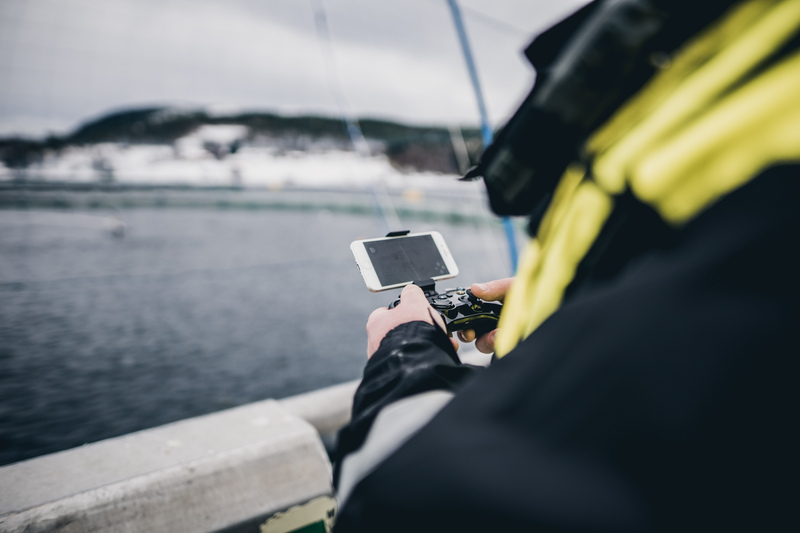 Underwater navigation is a tricky nut to crack, and the Blueye App is designed specifically to assist you in knowing where you are headed at all times. 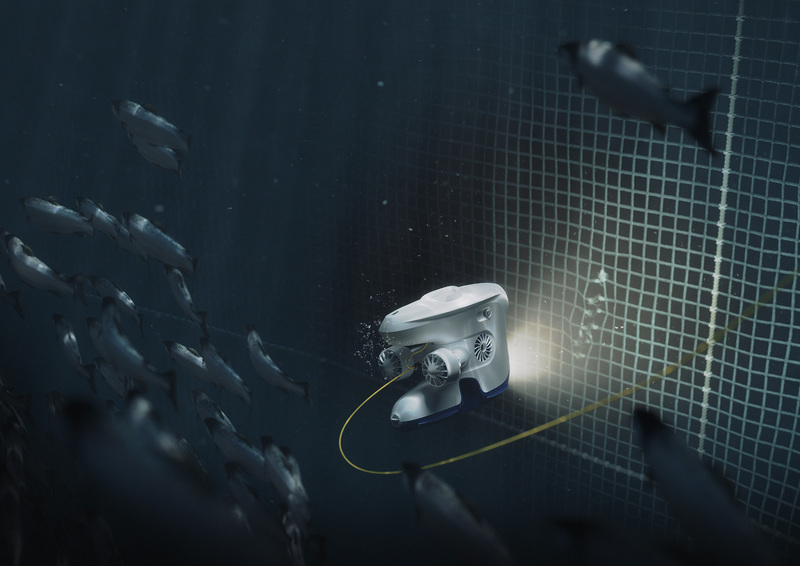 Assisted navigation with a ompass ensures minimal drifting and more precision when needed. 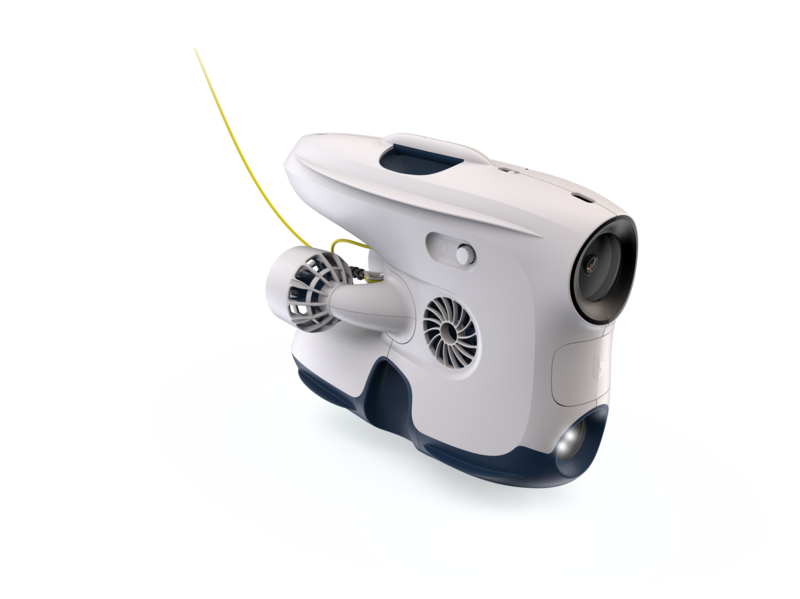 A 3D visualization of the drone illustrates the course of the drone in relation to your own. 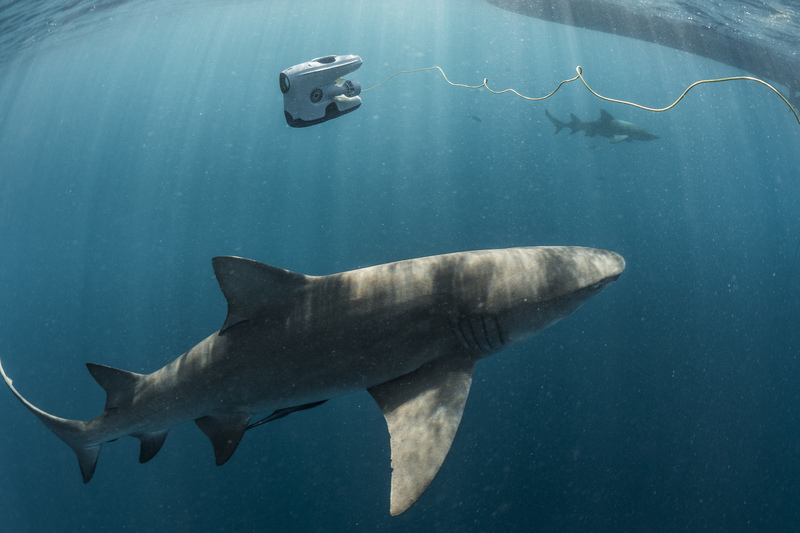 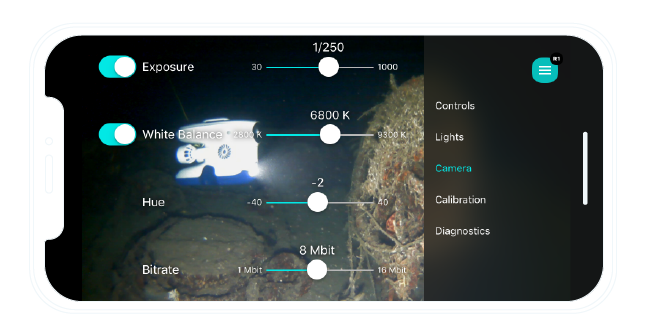 Wether you are diving in deep and dark oceans or in clear waters, the Blueye App gives you the opportunity to control light exposure and camera hue settings We provide you with tools to capture great videos! 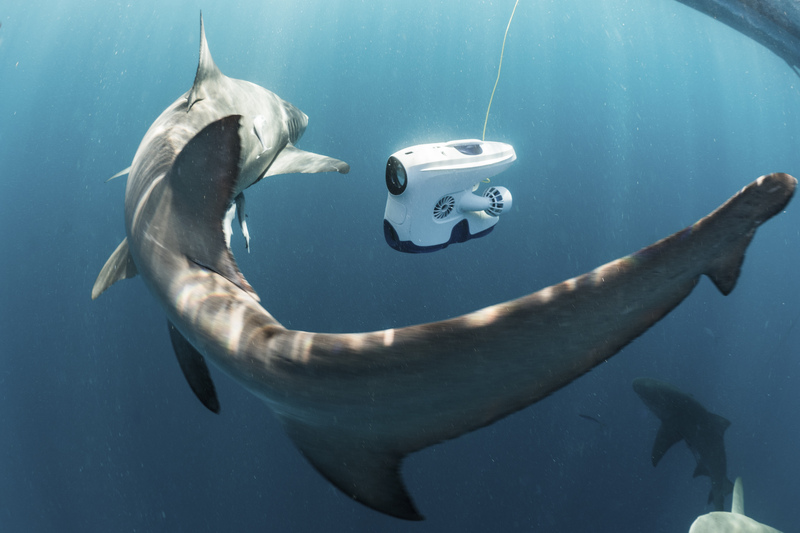 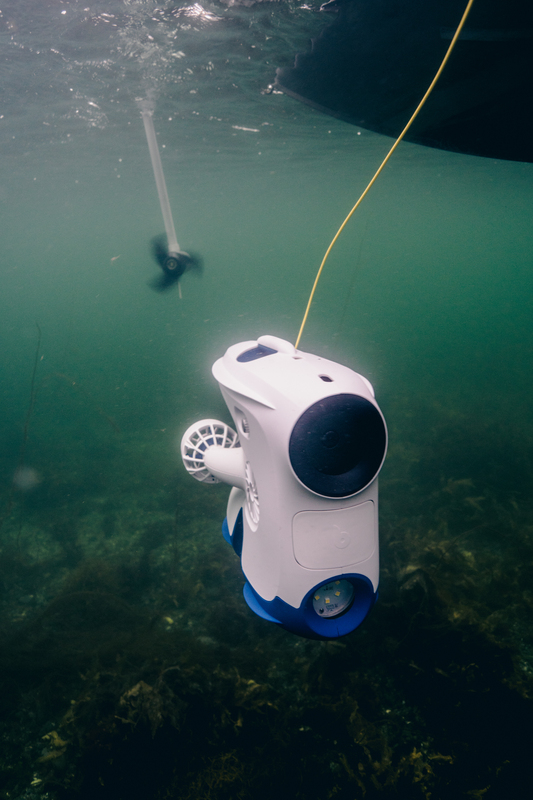 Blueye Robotics is increasing the price of its Blueye Pioneer underwater drone. 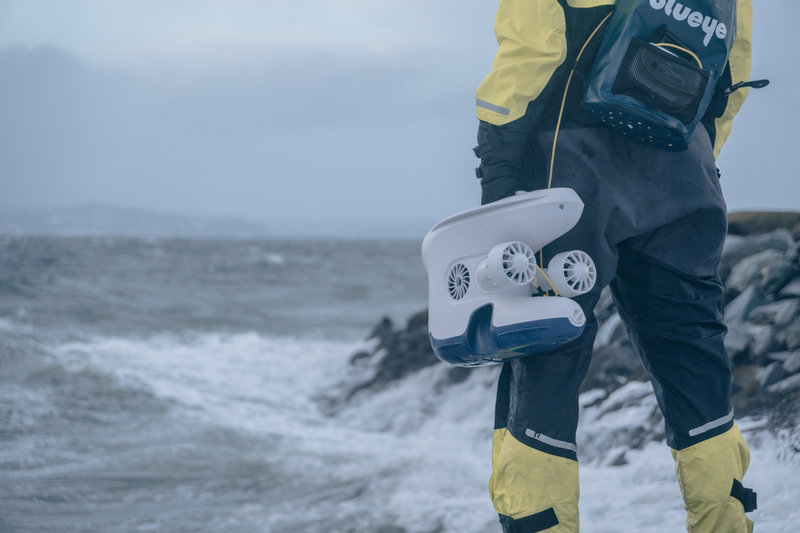 "We have developed the word's best underwater drone - a better drone than we could ever imagine" says Erik Dyrkoren, CEO of Blueye Robotics. 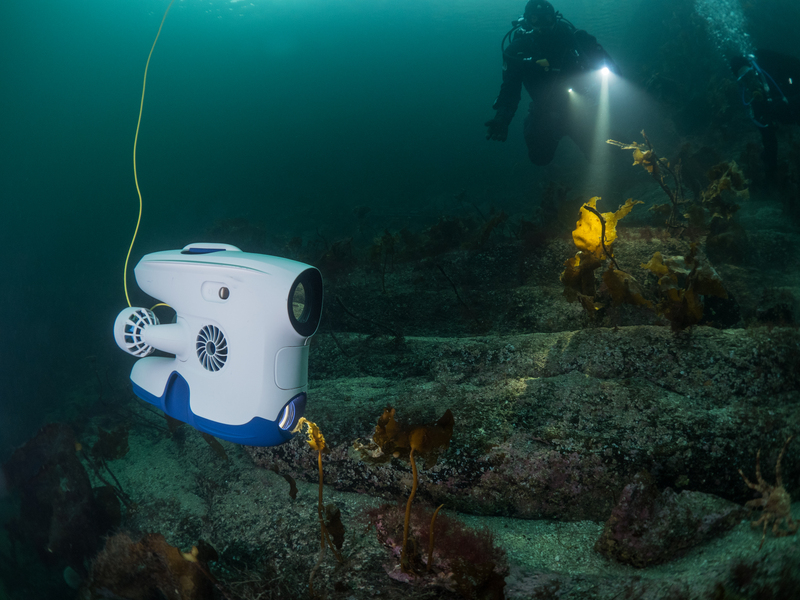 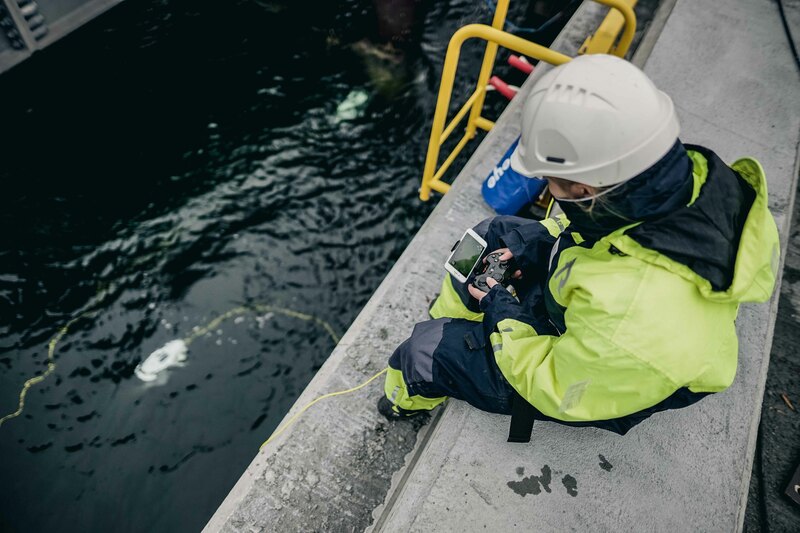 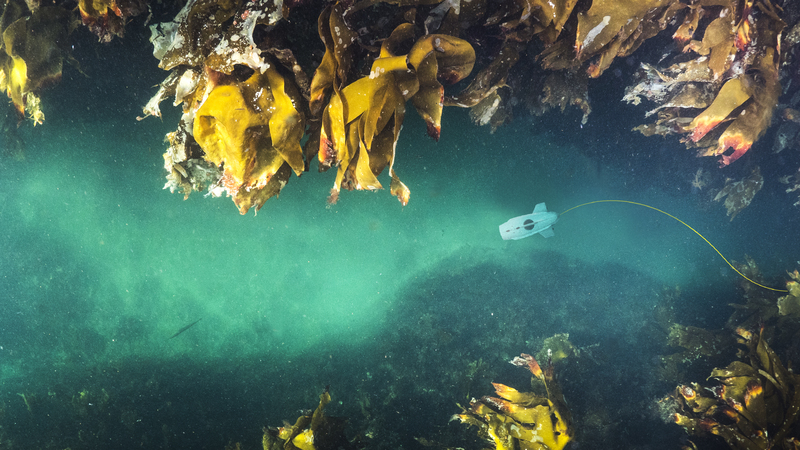 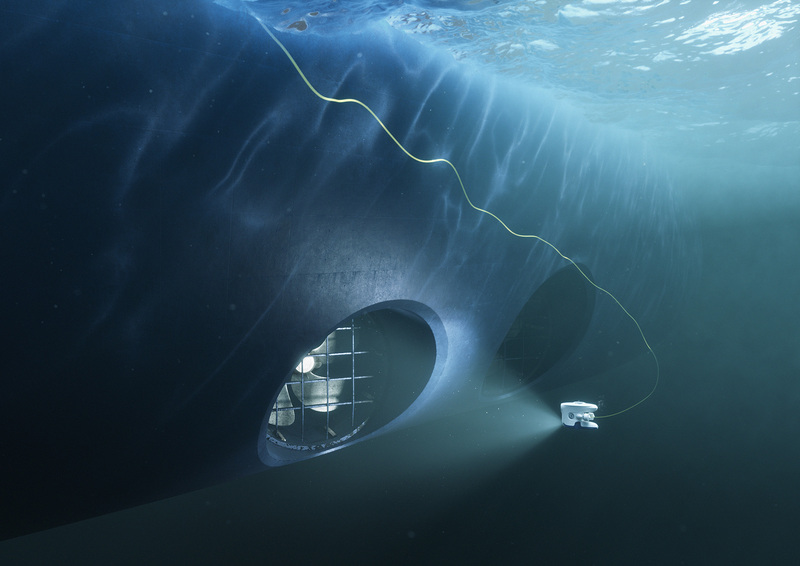 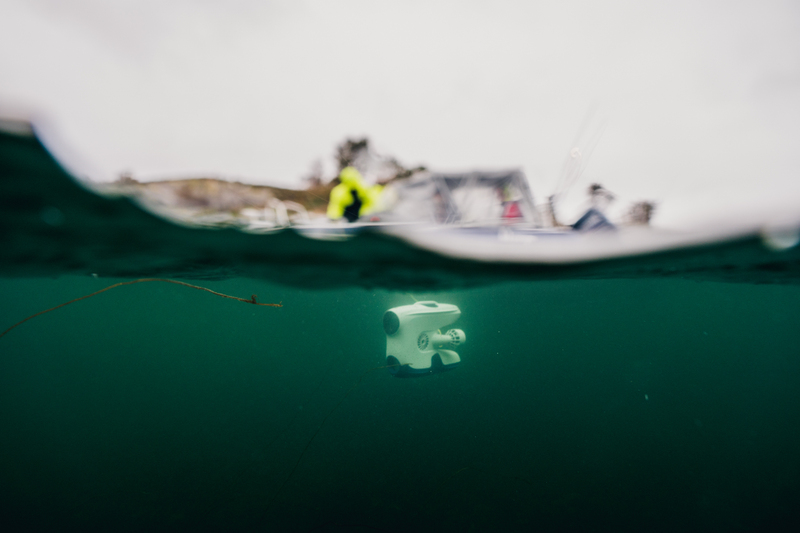 An underwater drone that is normally used for inspection work at fish farms has been chosen to assist the Norwegian Armed Forces during the marine salvage operations of its wrecked frigate KNM Helge Ingstad. 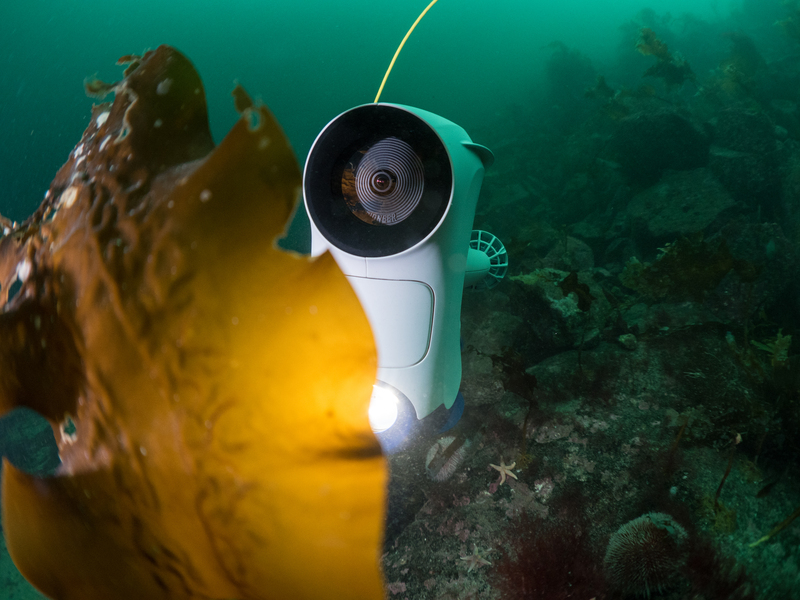 The Earth’s last frontier, the ocean, is being revealed to non-scientists for the first time with the introduction of Blueye Pioneer, an underwater drone that can dive eight times deeper than the average scuba enthusiast -- up to 150 meters. 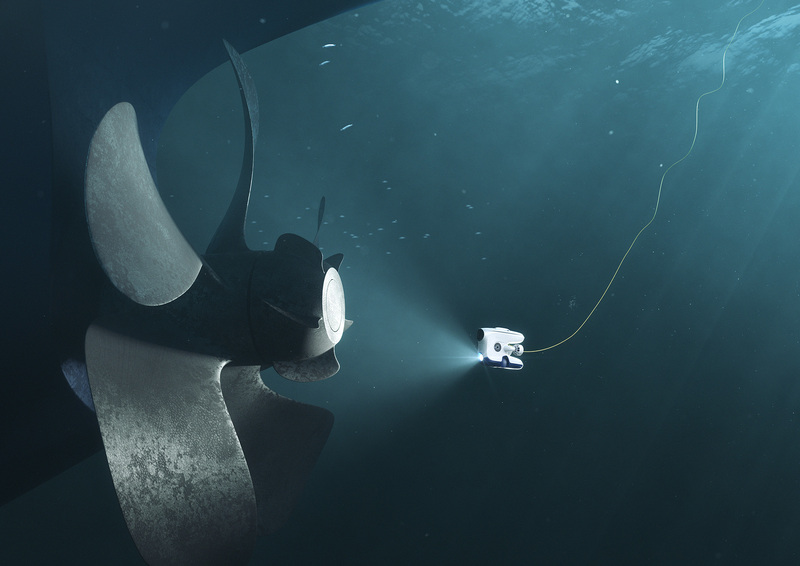 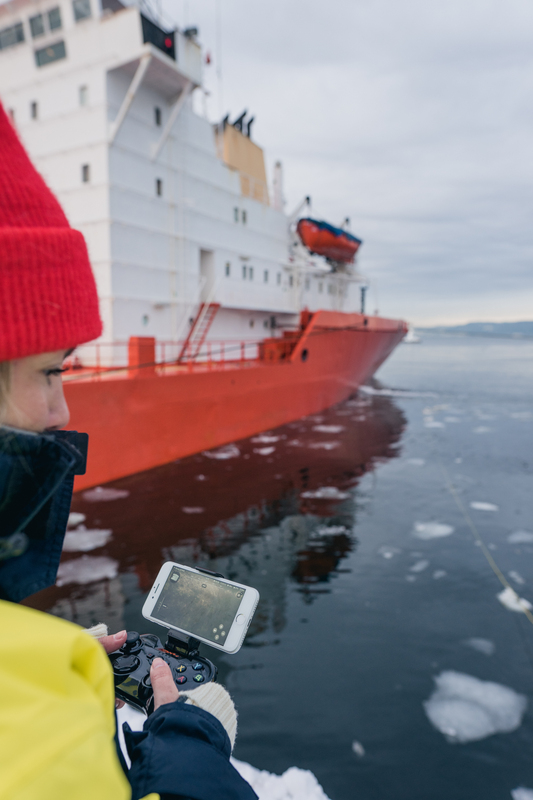 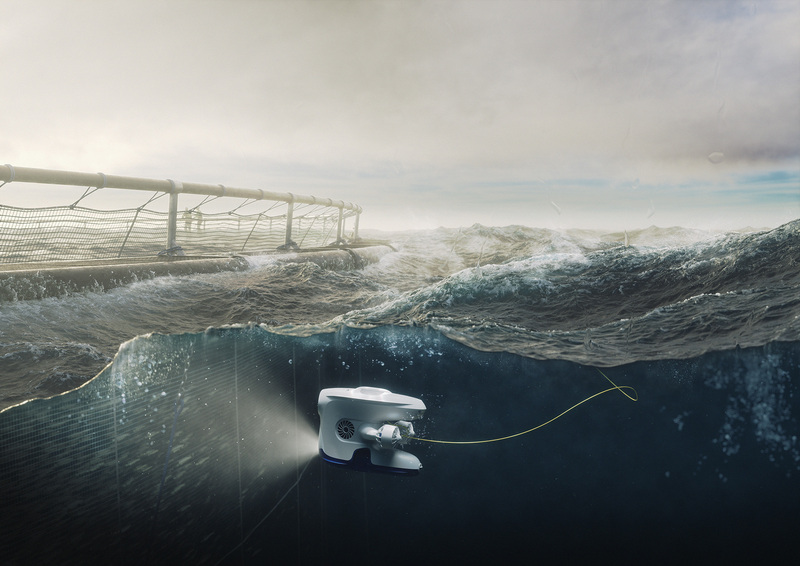 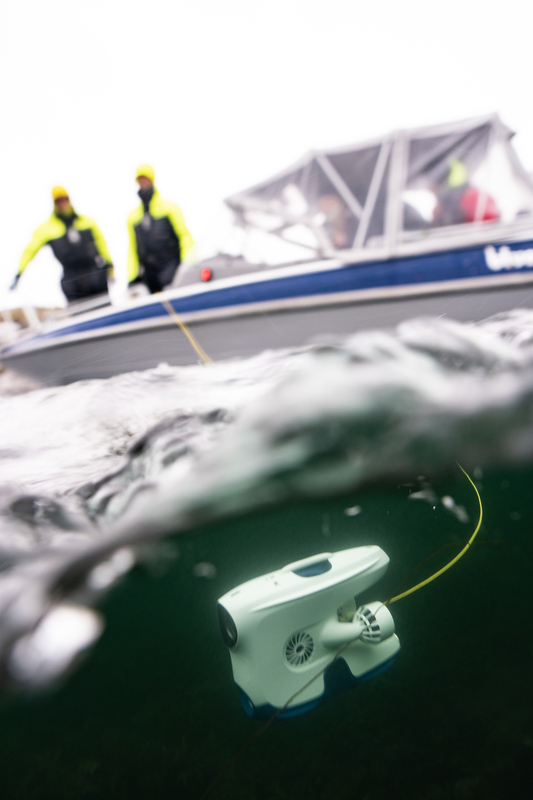 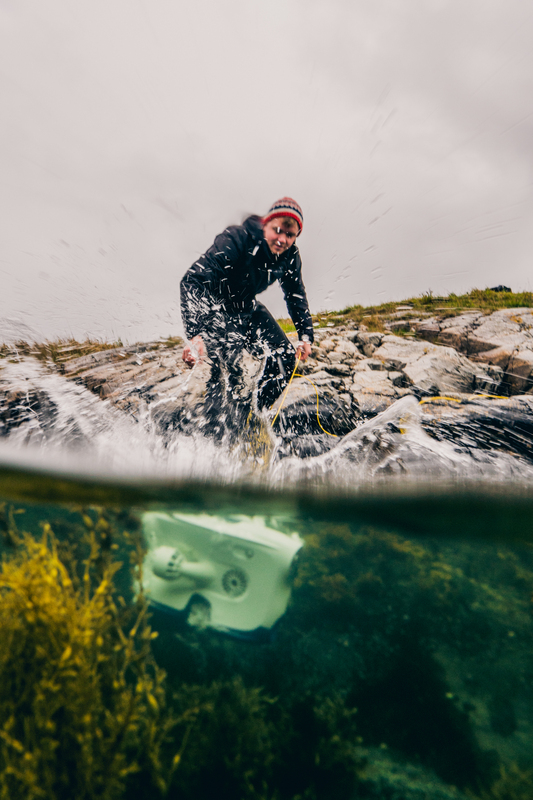 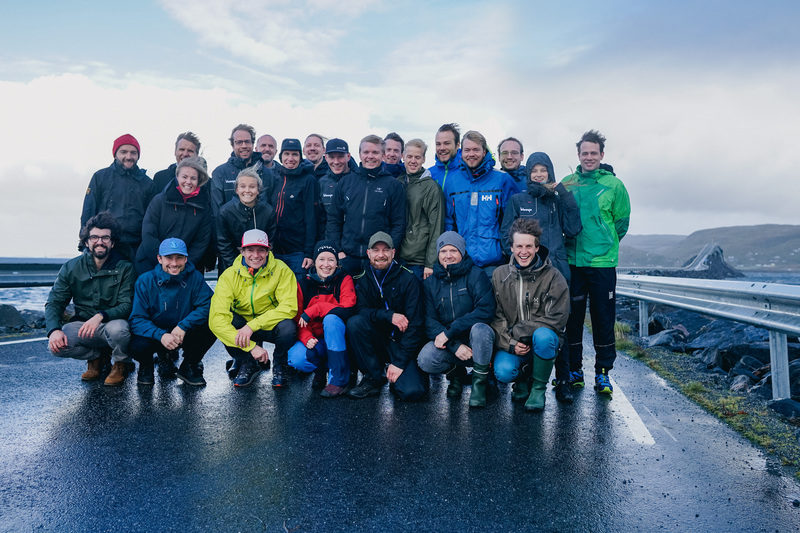 Hurtigruten and Blueye Robotics First to Bring New Ocean Technology to Sea Adventurers. 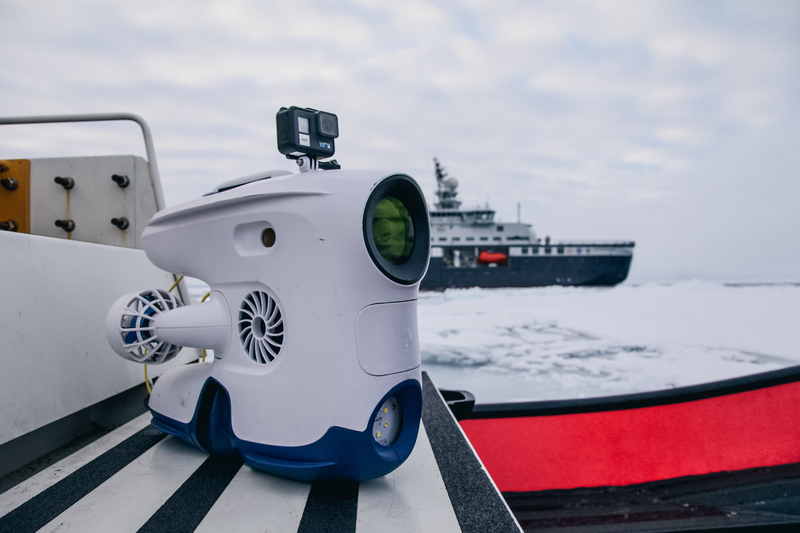 Passengers on board these unique excursion ships will experience the ocean’s depths through eyes of the Blueye Pioneer drone. 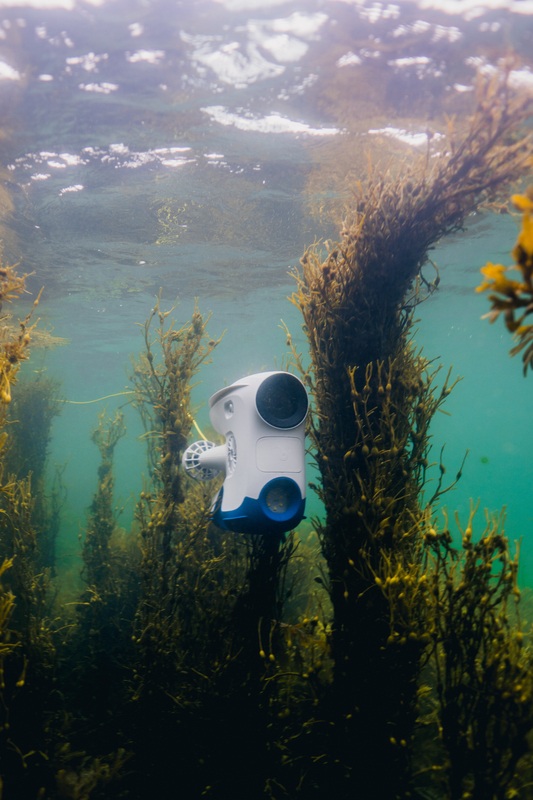 Blueye Robotics, developer of the Blueye Pioneer underwater drone that dives eight times deeper than the average scuba enthusiast, has been named a CES 2018 Innovation Awards Honoree in the category of Robotics & Drones. 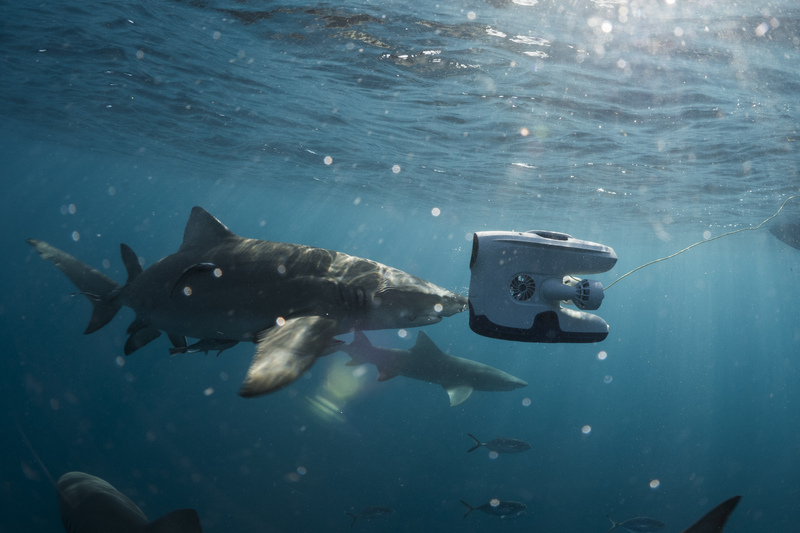 Great Barrier Reef Legacy Organization Uses the Blueye Pioneer underwater drone to Assess Declining Coral. 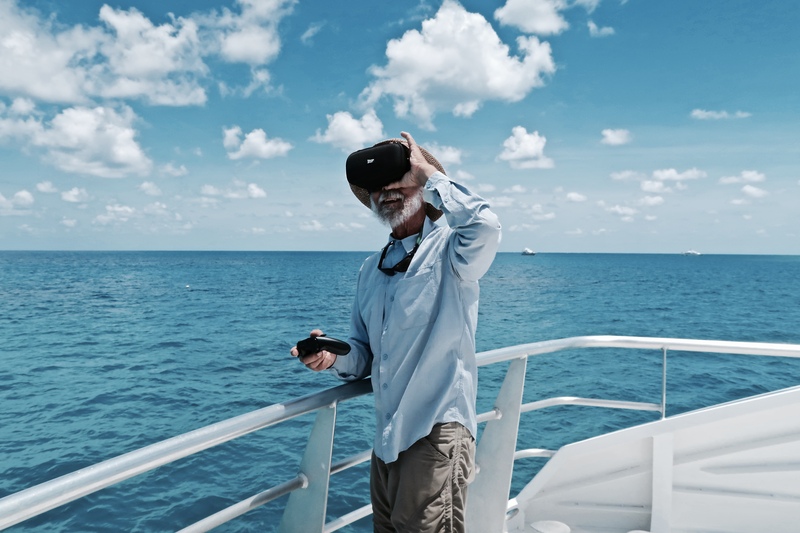 It will be used on a 21-day mission to explore the Reef’s most remote, unexplored reaches and assess the region’s declining coral reef corridor.